Rapunzel looks awful right now and she has to clean herself until her friends will arrive to take her out. 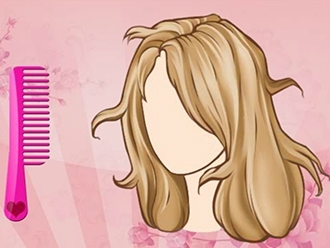 Play this game, take her to the shower and make sure that she will be a clean girl in time. Have fun! The battle for the best chef is harsh. Rapunzel and Elsa are in a constant competition in the kitchen and this time Rapunzel is determined to win, even if she does not play fair. She wants to destroy Elsa s dish and she needs your help. Help Rapunzel put salt and pepper on Elsa s food when she is not watching. Make sure you do not get caught. Rapunzel, your favorite princess from Disney wants to marry her prince. She has planned a gorgeous wedding in a castle with flowers all around and great decorations. Her wedding will be romantic and amazing, so she needs look cute like a princess. Summer is almost over and Rapunzel along with Snow White decided to go to the beach for the last time this year. 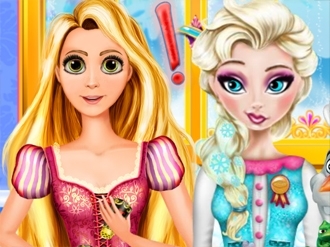 The weather is still sunny, join the beautiful princesses and have lots of fun. Help them look perfect at the beach. Choose the fanciest swimsuits and accessories. 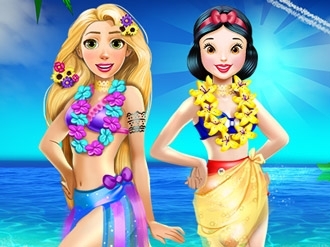 Rapunzel and Snow White will receive so many compliments at the beach. 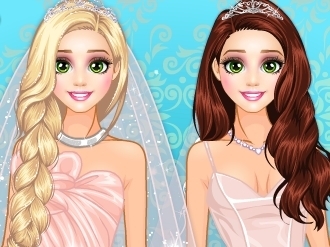 Enjoy this brand new dress-up game with your favorite princesses! School has started and cute Rapunzel’s Daughter has so much homework to complete. Science and math and history, she has to do them all. However, cute girl likes to slack a bit while doing the homework, because it's quite boring. Slacking is not good, but it might help her concentrate later. Can you help her slack a bit without her mom catching her? You should be careful because there is a timer as well and you must complete all the activities in time. I hope you will have a great time with new game!